What Happened To Cheap Transatlantic Business Class Fares From The US? In this post I wanted to talk about a trend I’ve noticed lately, which is making me reconsider part of my approach to booking transatlantic travel. Over the past few years, airlines have gotten much better at maximizing revenue. This has come in a few different forms. On one end of the spectrum, we’ve seen the major US airlines add fees for just about everything. On the other end of the spectrum, we’ve seen them price premium cabin tickets more reasonably. More reasonably priced premium cabin tickets is both a blessing and a curse. It’s a blessing because it reduces our reliance on miles and upgrades, when you could just pay a reasonable premium for a first or business class ticket. At the same time, more people paying for premium cabin seats also translates into fewer seats to upgrade to or redeem miles for. For a couple of years I feel like we consistently saw extremely reasonable business class fares departing the US. These weren’t available over all periods, but rather often had minimum stay requirements, were only to leisure markets, etc. It’s perfectly normal for airlines to try and segment the market to separate business travelers from leisure travelers, and for the most part they do a great job at it. But I feel like for a long time we saw sub-$2,000 transatlantic business class fares consistently, and in many cases even sub-$1,500 business class fares. In fairness, part of that was probably that you could combine the British Airways $400 AARP discount with the British Airways Visa 10% off discount. In other words, a $2,000 ticket would end up costing ~$1,440. What happened to the cheap fares? For the past several months — and perhaps for all of 2018 — I just feel like we’ve seen very few cheap transatlantic business class fares departing the US. Yes, we’ve seen a fare sale here and there, but cheap fares have gone from being the norm to being the exception. For travel originating in the US, we’re now consistently seeing cheaper business class fares to Asia than Europe, though that’s largely due to Chinese airlines flooding the market. Not all cheap transatlantic fares are gone, though. We still see plenty of cheap transatlantic fares originating in Europe to the US, it’s just that those departing the US seem to have disappeared. Similarly, there are tons of cheap business class fares originating in Europe to Asia. As someone who loves cheap premium fares, I find this trend to be a bummer. Where have the fares gone? I suspect the real answer is a combination of factors. There probably is generally more premium cabin demand, and as a result there are fewer fare sales. Those cheap fares that do exist are now mostly out of Europe, where they think offering cheap fares is more beneficial. Airlines pricing tickets differently out of different markets is nothing new. The cost of airfare is in no way correlated to the cost of providing it. It’s the same reason we see cheap business class fares out of cities like Cairo and Colombo, since they know the willingness to pay for business class is much lower there than other places. Similarly, most of the European markets out of which we see cheap business class fares aren’t London, Frankfurt, or Paris, but rather Stockholm, Madrid, Lisbon, etc. Have you noticed the decrease in cheap transatlantic fares departing the US, or is it just me? Americans complaining, but have tons and tons of huge credit card bonuses, cheap Amazon sales (not shipping to Europe),… should I continue? This has been a sad development for sure. I can’t even find much award space any more to Europe (at low levels). 1) The economy has been strong in the US, and the Euro has been weak. That has created a ton of demand for European travel out of the US that probably wasn’t there two or three years ago. US travel to Europe has been in double digits the past couple of years. 2) A lot of US customers have (or had) large balances of rewards points due to credit card sign ups, travel on airlines, and credit card spend. Customers are probably redeeming those points for European travel. 3) Cheap business class fares were probably cannibalizing award redemptions or business travelers rather than encouraging coach customers to buy up. Lucky, I agree, I have seen very few “cheap” business class fares to Europe. I do see occasional $3,500-$5,000 or so round trip sales on Air France, Delta and such, and those do have value, especially if you are trying to get status. But generally if you want to go transatlantic on business class, you need to be prepared to pay up, either in miles or cash. Kind of unrelated, but this is why I don’t get some of your low valuations for certain mileage currencies like United, Air France, etc. If you assume the average transatlantic business class roundtrip is going to cost at least $5,000 (which it does today), you get a lot of value by redeeming on United, Air France and others. 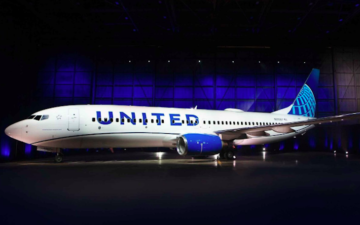 in all their quarterly financial reports over the last year/ year and a half, all us and foreign carriers have specifically said they’ve experienced very strong premium demand from US to Europe. That means people are buying the higher priced tickets (and anecdotally, I know quite a few people, including myself, family, and friends) who have been buying those higher priced tickets. Wealthy Americans are doing well these days and outright buying the tickets. 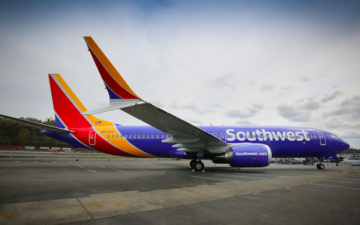 While not transparent, pricing is rational – the airlines know that right now is a time when they can get high fares departing from the US to Europe and are doing so, and making more inventory available. Pretty straightforward if you ask me. Airlines who claim to love competition so much are busy trying to monopolise the market with their partners. What’s new? Yes, the premium prices for the mainstream airlines (United, Delta, BA, Lufthansa) do seem to be extremely overpriced. 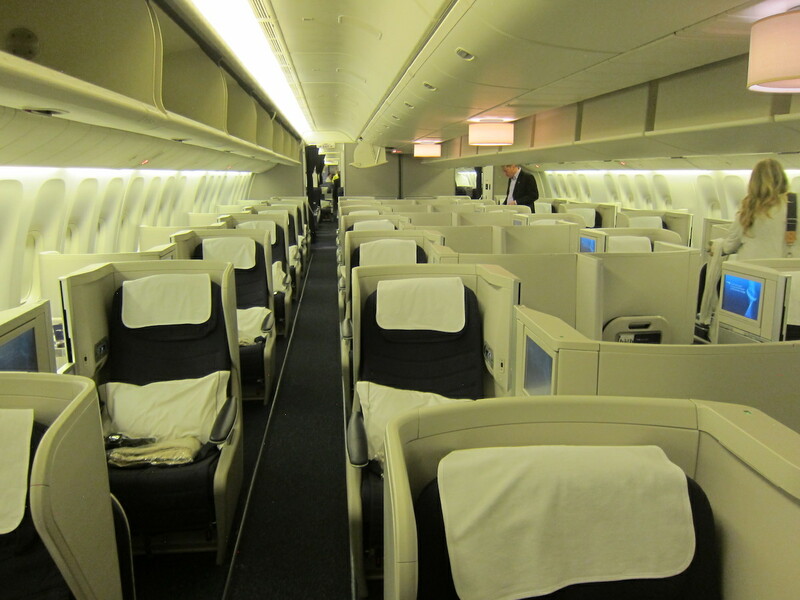 However, if you look at transatlantic business class prices on secondary airlines, many of the fares are much lower. TAP Portugal offers outstanding and consistent business class fares from Europe to the US, with sub $800 one way business class fares from even larger cities like London. Another airline that has reasonable business class fares is Condor, which has business class prices below $1,000 on many transatlantic routes. Besides those two airlines, it mostly just depends on the route that you fly on. If you want cheap business class transatlantic fares, your best bet is to travel on secondary airlines to cheaper secondary destinations. Anecdotally, I haven’t had much of an issue upgrading on these transatlantic routes. Every single TATL route I flew this year where I requested an upgrade was confirmed, usually at least a few days before departure. What’s crazy is how many cheap TATL ‘basic’ economy fares I see. It’s easy to fly r/t for ~$500.00 on a full service carrier. I really do wish JetBlue would launch transatlantic service. Would be great to see B6 fly Mint-heavy A321LRs to Europe to even things out a bit. They brought down the transcon market from $4k/RT to $2k/RT or less. For now, Norwegian’s PE seems to offer the most space/$. 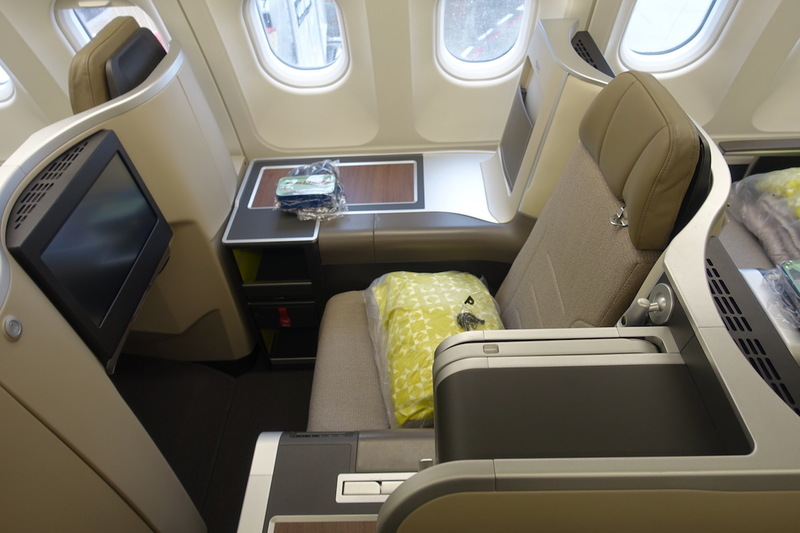 I’d also point out that premium economy is much more consistently offered tatl, and this allows better segmentation between leisure travelers willing to pay up for more comfort and business travelers for whom price is usually not the primary factor. As for the discrepancy between ex-US and ex-EU pricing, it’s all about the economy. The median disposable income (in 2016, converted at PPP) is ~$48k in the US versus ~$32k in the UK, FR and N. There are simply far more Americans who can afford higher prices. Never seen “cheap” transatlantic business class fares out of MSP. Delta has the monopoly here so typically a $7k++ is what you can expect. Before the US Air/AA merger in 2015, US Air was routinely charging $5400 for a TATL flight. Back then, many of those premium cabin passengers were upgrades. I wouldn’t then and I wouldn’t now pay $5400 for a J TATL flight. Then one day, after the merger, I’m seeing AA discounted premium cabin fares for around $3000 and last year I booked a flight for this past May for $2550 on a flash sale. I’m willing to pay for discounted premium cabin flights and there must be a lot of passengers who are doing the same thing. I don’t think it’s too complicated: the airlines would rather sell those seats than give them away. I watch premium cabin flight prices regularly and I see them teeter up and down depending on how many tickets are sold and how much time is remaining before the flight. They must have a pretty solid read on how much they can get for those tickets based on history and the time remaining before the flight. @Debit – I agree. I’m confused by the statement. If the reason why there are more reasonable C fares from Lis, Mad, arn because they have less buying power and/or less demand for premium cabin, why the hell there are no reasonable premium ticket prices ex Eastern European countries where the people are poor/with no intention to pay lot for flight tickets??? RT J fares to London from JFK are routinely around 8k one way due to the fact theres only 2 carriers offering a premium product on the route, AA/BA & DL/VS and a 3rd carrier(Norwegain) offering ULCC product(which will more than likely be absorbed into BA/IAG shortly). That market badly needs JetBlue and a break up of the AA/BA JV. For a route with that much demand, there needs to be as many carriers as possible to keep fares low. @Debit @Donna it makes perfect sense, assuming as Debit did that the yields didn’t change… which seems an obvious assumption other than the fact that it’s wrong. Our economy has been great and everyone wants to catch up with Travel in Her Shoes or whatever insta star they follow, thinking that Europe is amazing and will answer all their latent worries about their lives being wasted on dead-end jobs that they finally saved enough to ball out for a week in Amsterdam by drinking “good” beer that they secretly hate while discovering their lives were in fact wasted and being on the other side of the pond doesn’t change that. lol sry for the tangent. What cheap business out of Stockholm are you talking about? Norwegian can be pretty cheap but it is as advertised only premuim economy. Which airlines and/or destinations do you refer to? I have given up trying to use miles for upgrades. Wont happen out of Sfo. Most US Airlines don’t fly to Eastern Europe. I think there was also an era where Air Canada was offering low fares to start driving traffic onto its new product and through it’s Toronto and Montreal hubs to Europe. I recall those fare offerings usually being restricted to certain secondary US cities and I think that’s also some of the examples we are thinking of. Evidently, they no longer feel the intense need to offer deals, as I haven’t heard of an AC fare sale in a while. @BR not sure where you are getting $8k from, I see plenty of round trip non-stop fares from NYC to London under 4K even in the lead-up to Xmas… and there’s probably not a more competitive intercontinental route anywhere even with the JVs. Premium demand has definitely been higher from the US end, prices for premium economy, biz, and first are routinely lower now from the London end I have noticed. 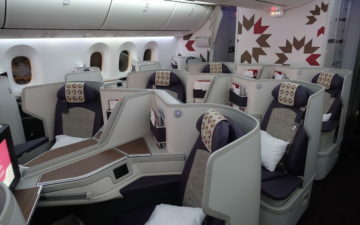 Agree with someone else on here who also pointed out that the growth of premium economy has allowed the airlines to segment much better than before – anecdotally I see WTP cabin on BA flights routinely full whenever I fly to the States and Gold BAEC members get frequent operational upgrades from that cabin into J. Finally don’t forget that for much of this year until the last couple weeks fuel prices have been substantially higher than last year. I think BR made the mistake of looking at one-ay fares, which often cost more than round-trip fares. I see J fares of $3,500 from SFO to LHR a lot although you may have to use Turkish, Icelandair or Condor. Lucky you also forgot to mention the recent increases BA and VS did on their EX-US YQ fees in premium cabins. From East Coast J went from $12xx to $14xx YQ on a “free” award tickets. F on BA went from $12xx to $18xx YQ. Ex-UK/Eur did not change. I got $2,000 PDX-SFO-LHR round trip earlier this year for late May, though I had to cancel for work reasons. I rebooked for late July on YVR-SFO-LHR for $3,300 (plus the $400 change fee). And I got $3,500 for a Christmas trip PDX-LHR (SFO out, ORD back) booked mid October. All on United. But I suspect the lower availability (if that was the case) was at least partly driven by the big rise in fuel costs. Both UA and DL drove their unit revenues high to offset the fuel costs in Q2 and Q3 and mostly succeeded. Now fuel is on the way down again that may signal (a little) more cheap availability for next year. That said, UA will be ramping up premium economy next year so less need to offer rock bottom J fares for pax that want “anything but economy”. To me this often looks like an antitrust case, because for some routes (eg SFO-FRA) the business class fares are identical regardless of whether it is with United/LH, American, or Delta. Same high price for all dates 10 months out and for all connections. My guess is that there are so many freeriders out of the US on their crazy miles bonuses that airlines simply have to charge more to the few who still pay for their flights. @Anthony is right to pick up on exchange rate changes. The US has gone from being a cheap place to hold international meetings (for my organisation, that means people flying-in mostly from Europe, North and South America, with a few Asia-Pacific countries) to being one of the more expensive destinations. Looking at places with decent international hubs, the most expensive Canadian city (Toronto) is cheaper all-round than the cheapest US city – and both Vancouver and Montreal are even cheaper. For those of us who decide meeting venues, careful choices can reduce overall costs by more than half. And that’s before the ever-less-friendly US border regime is taken into account for non-US citizens. 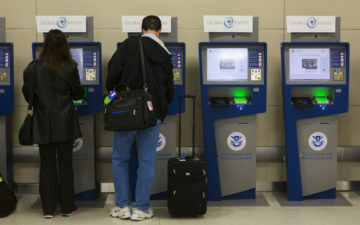 One consequence of all that: in my organisation, we’re buying a lot fewer tickets for travel to the US, and a lot more tickets for travel originating in the US. So demand for the latter goes up, prices rise. I agree with others stating that the strong USD may be a factor to it. I remember those $1400 fare wars from USA to Europe in business class amongst the alliances back in 2015/2016. @Myro and @ron – That’s not how rewards work. They don’t block off the flight so paying customers can’t buy and points can. The amount of award space is continuously monitored and limited. No airline sacrifices the chance for a paying J or F class when at all possible to do so profitably. The response in those ‘too many points’ situations is to devalue the points and/or reduce availability on routes that are likely to be bought by paying pax. That’s exactly what has happened on TATL flights. The behaviour you see on this site and others, with writers constantly encouraging the sign-up of credit cards for bonuses, is statistically unusual (and arguably unwise from the perspective of your credit rating). There can only be one reason – demand for premium tickets from people who have more money than you do! Reason is simple… Y is Y but today’s PE is old J and today’s J is old F.
I buy one or two paid flights to Europe a year to visit family. The sweet spot for fancier-than-economy transatlantic for me is Icelandair. No fold down flat bed (sleeping cot would probably be a better term) in their Saga Class, but they have the fastest one-stop connections from the West Coast to my destinations in Europe since there are no non-stops available. 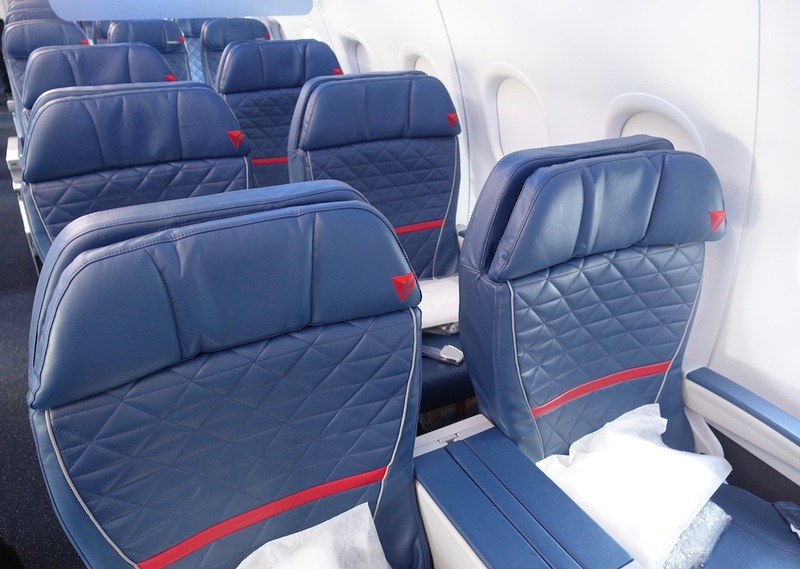 The seat is plenty comfortable for a nap and the flights earn a ton of Alaska miles. If this is the case, I think we’d still see sales, just with purchase required further in advance. I lean toward a change in demand/capacity, and for LHR in particular there’s also the way Americans still turn up noses at flying into Gatwick for business, even though it really doesn’t take that much longer to get to central London from LGW compared to LHR. Given how ridiculously cheap coach has gotten, I suspect the airlines need to reconfigure their planes and add more premium seats. Even though they take more space they certainly can generate much more revenue to compensate. BTW it’s not just higher fares. 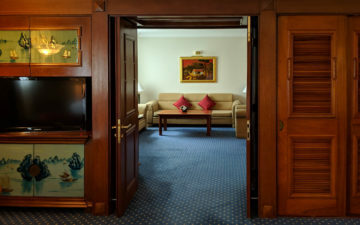 There seems to be less availability for premium cabins with points as well. Fortunately for me I live in The Northwest. I booked Vancouver YVR to Sicily and Nice to YVR for $2160 on KLM business class. I spent 5k alaska miles to fly to YVR each way from Southern Oregon. Pretty good deal. But yes, I paid same fare on Xiamen business out of LAX to HKG last month for what, 5 or 6K more round trip miles. On the latter Delta did not maximize the award miles and only got the same a regular couch. I was kinda POd. 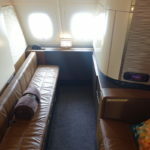 Cheap business class to Asia? I’m flying, in March, Boston to Toronto to Shanghai, then Hong Kong to Toronto to Boston, on Air Canada. It was the cheapest business I could find, and is close to $6000. I’m used to economy or premium economy, this was a huge splurge for me. I hope it is worth it! I’m going to Asia again in the fall and hope prices are more palatable then. Just checked Lufthansa from Germany to JFK and back. Business Class 3591.59 Euro ($3960.00). Premium Economy 1118.00 Euro. Definitely not worth the difference. @ECh If your credit rating is dropping because of picking up credit cards you need to look elsewhere for the problem. My rating varies between 785 and 830 consistently and I usually add eight to ten cards annually. I agree. At least out of LAX, tickets in business seem to always be around $5000, at least. A miracle if you find cheaper than that. My son got Sinapore business from LA to Japan gor $2200 last year. Same flight from sfo was double. He contends LA has more flights and is more competitive, but maybe not to Europe. I bought SFO-LHR in April for ~2k USD in business, “P” class. (I’d happily to go Gatwick instead, by the way.) . The low rate surprised me, since I’ve most often seen a range of 4-8K, so I’m saving my miles for other flights. Also since I NEED to sleep from US to Europe and NEED to stay up from Europe to US to combat jet lag, I only need premium one way and not the other. yes, that makes sense. But still, for me its weird. Luck Ukranian used to have good fares ex europe, but question whether is it worth to route through IEV just for business losing some time than go e.g. via London to US states with short connection. even in eco. What I don’t understand is why airlines even try to compete to win the premium fare business out of places like Cairo or Colombo. When I can book a business class ticket out of Cairo on Etihad or British Airways often for less than the price of a ticket just from Abu Dhabi/London to the US (talking less than 2000 dollars round trip), whereas just taking an Abu Dhabi – New York – Abu Dhabi round trip would cost maybe 4 times as much. Why do the airlines even want these customers. What do they really gain by trying to win ex-CAI or ex-CMB premium passengers when they could probably fill the seats with customers that would be paying more. It doesn’t make sense to me, and I’m not sure what I’m missing here.